In the 1980's, Tonghe Shoes commenced producing leather sheos which crafted with the calf leather for officers. After years of striving, the name, ROCKROOSTER, inspired from the hard and tough work, became the leading safety footwear brand for generations fo workers and hikers by proving itself on the site and in the field. Today, combined with the over 30-year legacy of leather boots, more than 10 years of work boots experience, results in building on its commitment to footwear producing for the modern workers and outdoor hikers. 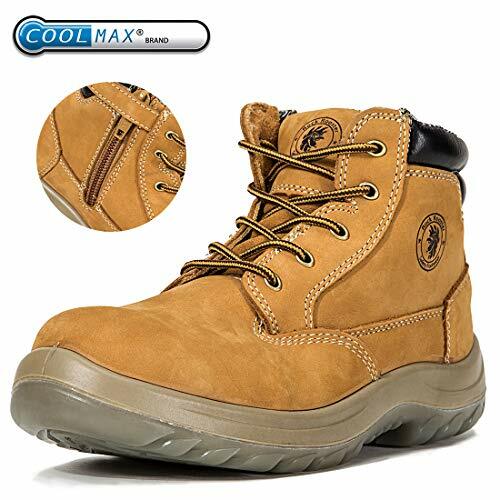 【CoolMAX】Temperature Control, Moisture Wicking, Quick Dry. 【Steel Toecap】Help to Work or hiking, keep you toe safety. If you have any questions about this product by ROCKROOSTER, contact us by completing and submitting the form below. If you are looking for a specif part number, please include it with your message.